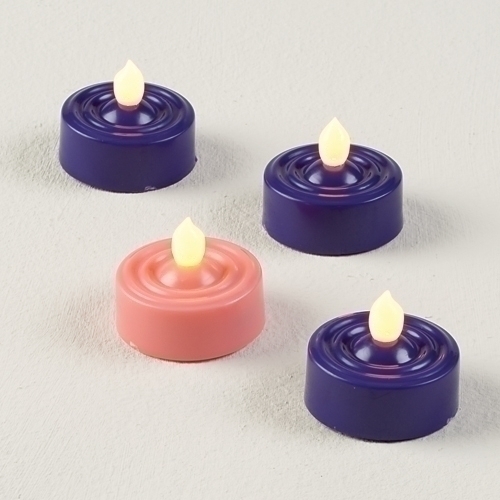 Our Battery Advent Tea Lights LED, come in a set of set of 4, 3 purple and 1 Rose. They are perfect for the school classrooms and home use for safe displays. These LED Advent candles may stand alone or be used in your very own Advent wreath. Battery operated Advent tea lights are 1.25" high, 5.5" wide and 1.375" in diameter. Made of plastic. One CR2032 button cell battery included.